Ideal for any wedding. Create a unique and beautiful experience for your guests by placing the candle bags either in the church, line the entrance of your wedding reception or place the candle bags on you guests table as a table centerpiece. A very inexpensive way to set your wedding apart from any other. 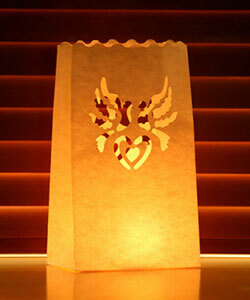 10 candle bags per pack.